New research funded by the National Institute on Drug Abuse (NIDA) revealed that the relapse rates among criminal justice involved adults with a history of opioid dependence were lower for participants receiving extended-release naltrexone than for those receiving treatment as usual (brief counseling and referrals for community treatment programs). Administered as a monthly injection, naltrexone is an FDA-approved sustained-release, opioid antagonist for the prevention of relapse to opioid dependence. This study is the first large randomized trial of extended-release naltrexone versus usual care conditions among criminal justice involved adults. The findings showed that 24 weeks (six monthly injections) of extended-release naltrexone resulted in a significantly lower opioid relapse rate (43 percent vs. 64 percent) among the two groups. Additionally, while there were no overdoses observed in the extended-release naltrexone group, there were seven in the usual care group, with three resulting in fatalities. For a copy of the abstract, “Extended-Release Naltrexone to Prevent Opioid Relapse in Ex-Offenders,” published in The New England Journal of Medicine, go to http://www.nejm.org/doi/10.1056/NEJMoa1505409. NIDA. "Extended-release naltrexone lowers relapse rates in ex-offenders." National Institute on Drug Abuse, 31 Mar. 2016, https://www.drugabuse.gov/news-events/news-releases/2016/03/extended-release-naltrexone-lowers-relapse-rates-in-ex-offenders. NIDA. 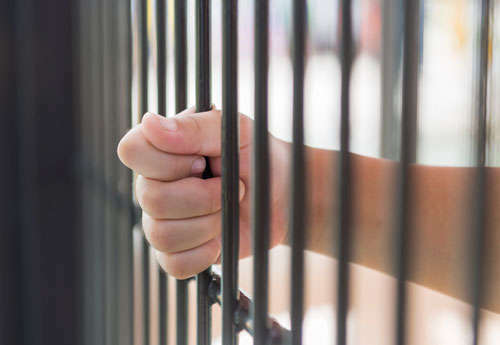 Extended-release naltrexone lowers relapse rates in ex-offenders. National Institute on Drug Abuse website. https://www.drugabuse.gov/news-events/news-releases/2016/03/extended-release-naltrexone-lowers-relapse-rates-in-ex-offenders. March 31, 2016.